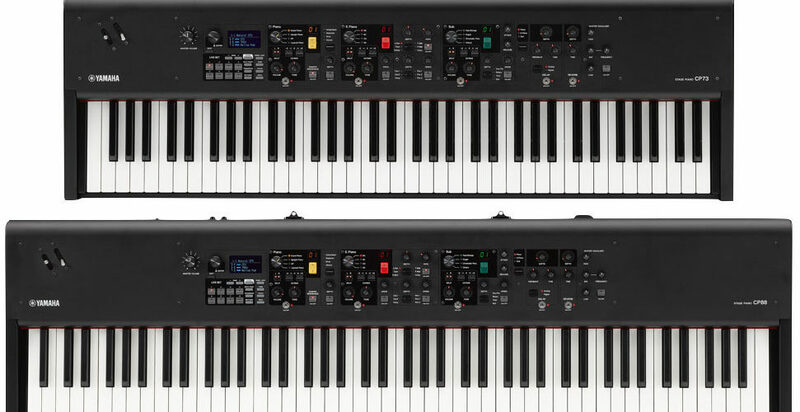 Sporting some new design aesthetics which wouldn’t look out of place on a Nord keyboard, Yamaha’s latest much-talked-about stage pianos have now hit the stores, after being unveiled at NAMM this year, plus previewed by a few lucky keyboard players. 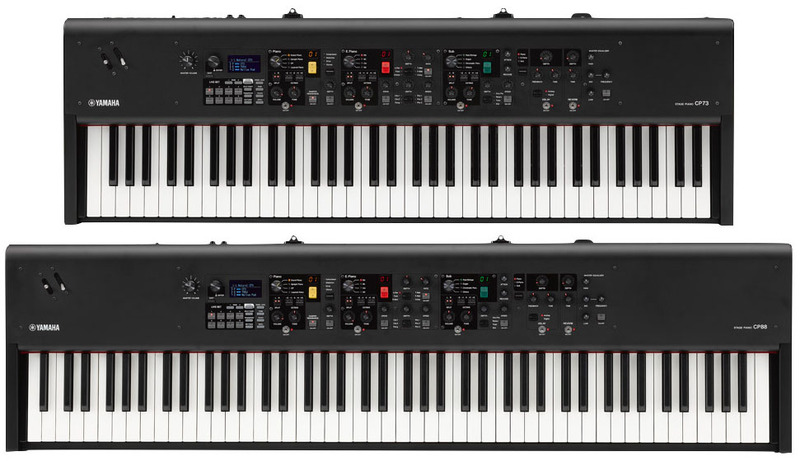 The CP73 and CP88 keyboards, as the names suggest, are 73 and 88-key instruments. They’ve been designed with the gigging performer in mind, boasting lightweight yet sturdy construction, and easy-to-find controls for the main features likely to be needed in a hurry while playing a performance set. Three main sections handle acoustic pianos, electric pianos, and sub (all the other sounds that aren’t pianos or EP derivatives. The acoustic piano samples on board are taken from the Yamaha CFX and Bösendorfer Imperial grands plus the Yamaha U1 upright and CP80 electric grand. Damper resonance can be selected for added realism of the sounds. Electric pianos include three 1970s models of tine pianos, variations of the Wurlitzer, clav sounds, vintage key basses, plus a range of effects including wah and phaser. Within the Sub section are strings, pads, organs, percussion, and voices suited to layering. Effects include rotary speaker simulation, plus attack and release controls. The interface layout is designed to avoid having to navigate through layers of menus for the most common settings required. That includes sound selections, volume, tone, split keyboard and octave shift. Custom setups can be saved as live sets – up to eight can be stored. An advanced mode of control allows for more complex setups to be created as required. Very importantly for those playing live and within sets where voices and sounds need to change quickly and without glitching is the seamless sound switching feature. This ensures sustained notes from one set are held when another live set is selected. Master effects include tempo-syncable delay and reverb. There’s three-band EQ with sweepable midrange band. Plenty of robust connections are provided on both instruments, including both 1/4″ and balanced XLR outputs, plus gain-controllable left and right 1/4″ inputs to allow secondary audio sources to be mixed in. The CP88 features a natural wood, triple sensor action keyboard with synthetic ebony and ivory key tops for improved finger grip. The CP73 weighs under 30lbs.